I am so excited to announce that I will be selling at this years Riverview Village Days Artisan and Farmers' Market! This awesome event is held at Lafayette Park in Norfolk, VA, starting next Sunday, 14th April 2019, and continuing twice a month, on the 2nd & 4th Sundays, (Apart from a couple of months, due to scheduling conflicts) from April through to November. This is the area’s largest open-air farmers' market, and draws quite the crowd. There are over 65 different artists, crafters, farmers, antique & food vendors plus food trucks to enjoy! I will not be able to make the May event, as I will be out of town on that day, but I hope to make all the others dates. Depending on the month, I plan on doing different themes, so I'm especially looking forward to Halloween month, of course, and November will be all about Thanksgiving and Christmas! Please consider stopping by and supporting local farmers, artists and vendors, we look forward to seeing you there. I am now selling at two new locations in Hampton Roads! Oh my goodness, it has been an eventful week for me, art-wise! On Tuesday I was back up in Surry, VA to see the lovely Paige at her A Steampunked Life store, where I have been selling some of my mixed media pieces. I have been having a lot of luck there, and she took five more steampunk-themed pieces from me to sell. If you are ever in that area, I highly recommend you go to check it out, it is truly a hidden gem of epic proportions! You can find out more about A Steampunked Life HERE. Then, on Thursday, I was hanging out with Dana, at her fabulous gallery/store, Quixotic Arts, in Norfolk, VA. I wish I had found her store when it first opened two years ago! It is full to the brim with all kinds of fantastical, Gothic, creepy, and eclectic art from many local and national artists. And she took 52 pieces from me to sell, including lots of mixed media pieces, jewelry, and bookmarks. I am thrilled beyond words that she likes my work so much. You can find out more about Quixotic Arts HERE. And THEN, on Dana's recommendation, I popped over the street to visit Tom at The Village Mermaid, an awesome antiques and decor store. So now I am also selling some of my mermaid bookmarks there, which seems very fitting! You can find out more about The Village Mermaid HERE. Phew! As you can imagine, I am so, so happy to have the chance to sell more of my work in these local shops and galleries. It means the world to me that these successful, discerning, gallery owners like my work enough to want to sell it! And, since my last Flea Market event did not go well, (I only sold three items, which, after the cost of renting the space, plus transaction fees, were just barely over being a loss,) it was a huge boost to me. I still of course, have lots for sale in my Etsy Shop, and I will be having a big St Patrick's Day sale next weekend, so keep an eye out for special deals then! Stories From The Studio #3, 17th February 2019. A Note On Valentine's Day. Listen, Valentine's Day day isn’t just about tacky gifts and overpriced roses. Whether you are in a relationship or not, it's all about love! Share the love with yourself first, treat yourself to your favourite things, and why not spread a little extra joy wherever you go? Think of others who may be hurting, for whatever reason, and share some love with them. Try paying things forward and watch the smiles that light up people’s faces when they realise someone has noticed them. On Valentine's Day, Brian and I went to a cheap and cheerful lunch at Cracker Barrel, and then went bowling together, (we went to a much fancier dinner in the evening.) and while at lunch, I noticed an older gentleman dining by himself. The whole restaurant was full of older couples, all dressed in their best pink and red clothes in honour of the day, and this guy looked sad and lonely. I paid for his meal anonymously, and just asked the server to tell him it was taken care of, and to say Happy Valentine's Day. As you can imagine, he looked confused, but his face lit up too. I hope I made his day, and that he in turn, might do something for someone else down the line. I am a great believer in karma, and paying things forward. And, as a side note, please, never, ever, settle for anything less than you deserve. I have known far too many people put up with terrible relationships, because they think the important thing is just to be with someone - anyone - to validate their lives. It is better to be single than with someone who treats you badly. 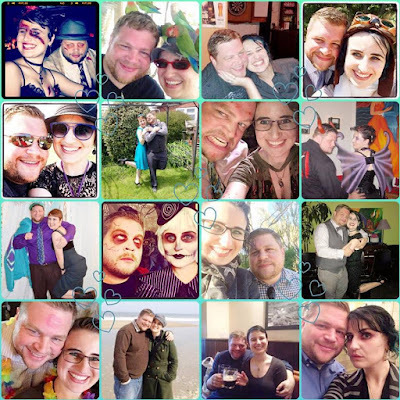 I was lucky enough to find my perfect partner, who is willing to embrace ALL of me, (including my penchant for crazy costumes!) but I had to cross an ocean, kiss a lot of frogs, and go to hell and back before I found him. It took me a very long time to realise that I deserved more. That I deserved someone who loves me, that isn’t cruel or abusive. Someone who supports me and challenges me to achieve more. That’s the kind of love we all deserve, so please, don’t ever settle. We are all worth love! We are all amazing, beautiful, crazy, fabulously flawed humans that deserve to be happy. Be brave, seek your happiness, and do whatever makes your soul sing! Stories From The Studio #2, 5th February 2019. Hello my lovelies, how have you been? Sorry I have been absent for a little while, sadly I lost a family member and flew home to England for the funeral. It is times like these that make it so very hard for me to live so far away from all my loved ones back home. It is wonderful that modern technology means I can Skype, FaceTime, or WhatsApp them all at the touch of a button, but it is not the same as being able to spend time with them in person. For more info about this event, follow the link HERE to their Facebook page. Oh, and by the way, this Flea Market is held on the first Saturday of every month, so if this one goes well, I hope to make this a regular thing. 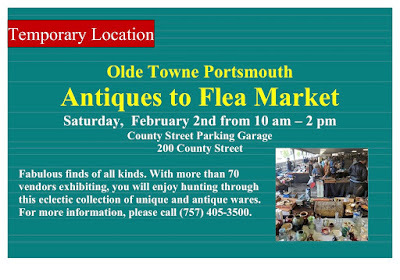 The location is very close to me, and I would love to do more fairs locally, as well as support the Olde Towne business association.